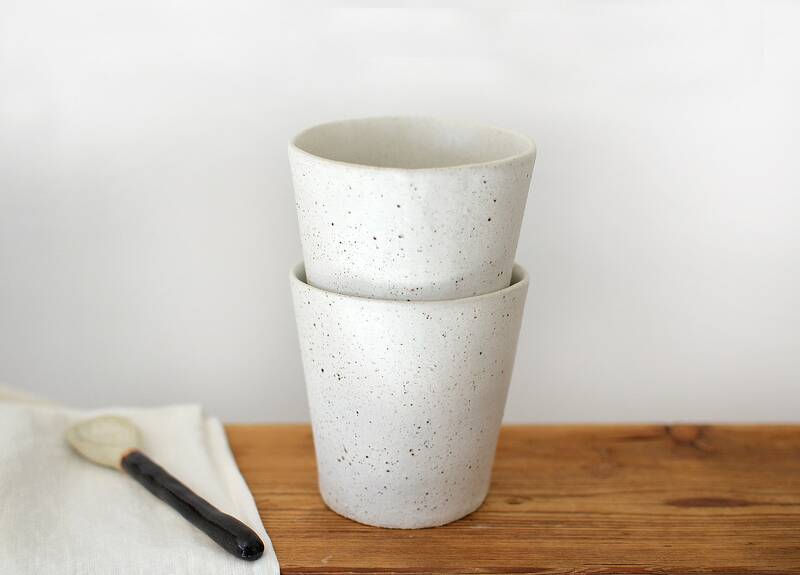 This hand made ceramic tumbler is perfect for your morning coffee or tea ritual. 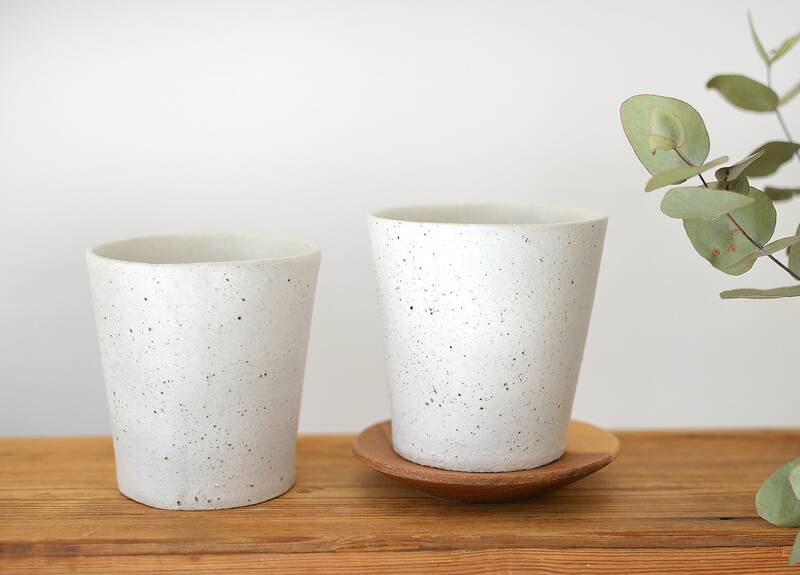 It can also be used for all sorts of other beverages, or even as a sweet little vase to hold some pretty buds. 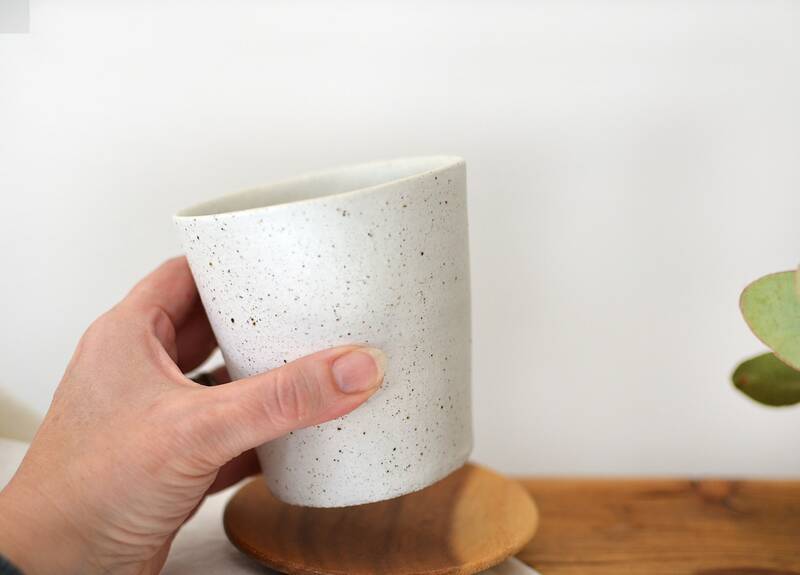 It has been hand made from speckled stoneware clay with white underglaze detailing and finished with a matt surface glaze on the exterior and semi gloss white on the interior. 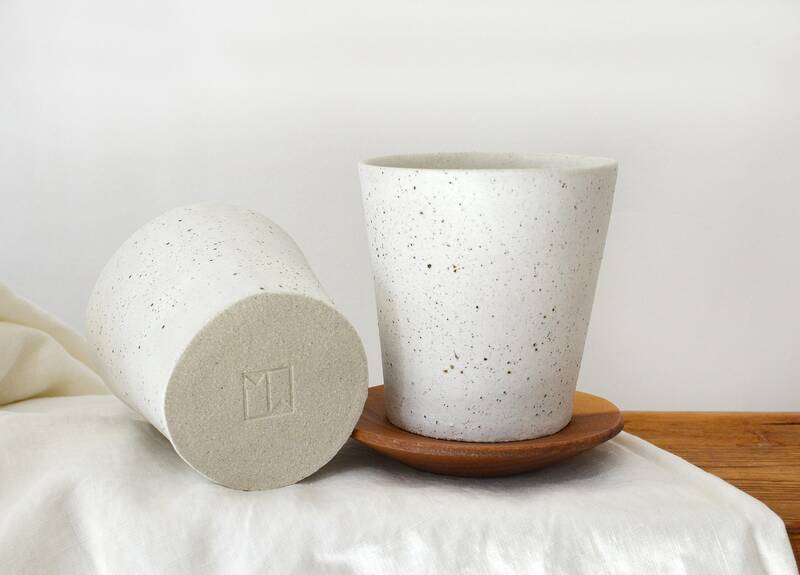 It has been formed using the rolled slab technique (not thrown on the wheel) enabling the cups to exhibit a slightly organic feel. As it is a hand made, one of a kind piece, therefore there will be subtle variations in appearance reflective of hand made pieces. • Measures approximately: 9.8cm (3.75") high by 9cm (3.5inch) wide at top opening.